DUID stands for Driving Under the Influence of Drugs, and it’s against the law in California and every other state. In California, a conviction for DUID will be handled very much like a conviction for DUI. As DUI attorneys, we know if you drive under the influence of any drug – legal or illegal – that can impair your ability to drive, not even a prescription from your doctor will help if you are prosecuted for DUID. Pharmaceutical drug and even some over-the-counter drug products can be just as dangerous as alcohol or illegal drugs if you use them and get behind the wheel. As we grow older, many of us must take some kind of prescription drug to stay healthy. However, most prescribed medicines – as well as dozens of other over-the-counter drugs – can severely impair a person’s ability to drive safely. Even when a drug that impairs driving is necessary, prescribed by a doctor, and legal, that does not mean that someone can drive a vehicle while that person is under the drug’s influence. In California, the “drugs” part of “driving under the influence of drugs” can be any substance that impairs someone’s capacity to operate a motor vehicle safely and cautiously. The term “drug” does not explicitly, necessarily refer to illegal substances; prescribed medications, controlled substances, and illegal drugs all fall similarly into the “drug” category when it comes to California DUID charges. 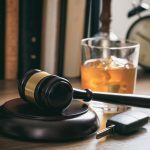 Although DUI and DUID are handled similarly by the courts, there are also some key differences. WHAT ARE THE DIFFERENCES BETWEEN DUI AND DUID? 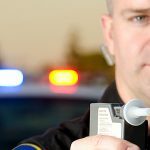 When a California driver is suspected of DUID, for example, there is no simple test – such as a breathalyzer test for alcohol – that can determine that driver’s level of impairment. The driver will probably be asked for a blood sample or a urine sample, but even that can’t tell law enforcement officers if a driver is at that moment intoxicated. An officer specially trained as a Drug Recognition Expert, or DRE, may be brought in to observe a suspect for signs of intoxication and later to testify in court regarding those observations. Like everyone, DREs make mistakes. A driver may appear to be intoxicated for a number of reasons: medical conditions, fatigue, and even too much bright light makes some people seem to be intoxicated. Any driver who faces a DUID charge in southern California on the basis of a DRE evaluation will need to get legal help at once and consult our experienced Los Angeles County DUI attorneys. The truth is that a DUID charge in California is usually prosecuted with circumstantial evidence. The DRE’s observations of someone’s driving patterns and his or her appearance, as well as that person’s performance on any field sobriety tests and chemical tests, can all be used as evidence, along with any eyewitness testimony and any video or other objective evidence regarding a suspect’s driving ability at the time of the suspect’s arrest. When a California motorist is charged with driving under the influence, the California Department of Motor Vehicles (DMV) initiates an administrative procedure to suspend that driver’s license, but the DMV does not suspend a suspect’s license for a DUID charge unless that suspect refused to submit to testing or tested over the legal limit for alcohol in addition to being under the influence of a drug. The laws are different in states like Arizona, so it is best to speak with a Peoria DUI Attorney as soon as possible. WHAT ARE THE SIMILARITIES BETWEEN DUI AND DUID? If you become a DUID suspect, the similarities that DUI and DUID share will probably be more important to you than the differences. Both crimes are prosecuted under California Vehicle Code section 23152(a), where the language includes both of the terms “drugs” and “alcohol.” If you use any over-the-counter or prescription medication, read the directions and warning labels fully and carefully. If you must take a medicine that could impair your ability to drive, then it’s probably better not to drive at all. Ambien, Vicodin, Demerol, Dolophine, and Oxycontin are especially likely to impair a motorist’s driving ability. These medicines can substantially slow anyone’s reaction times, reflexes, and thought processes, so driving a vehicle or operating heavy equipment while using these drugs should always be avoided. In 2009, eighteen percent of the fatally injured drivers in the United States tested positive for at least one prescription or illegal drug, according to the National Highway Traffic Safety Administration. WHAT ARE THE PENALTIES FOR A CALIFORNIA DUID CONVICTION? 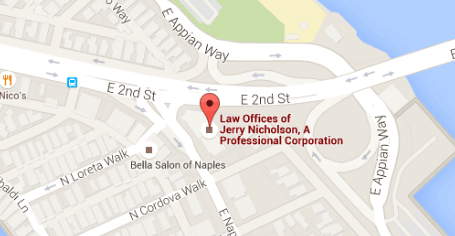 CAN A CALIFORNIA DUI ATTORNEY HELP? As mentioned, the California DMV does not immediately suspend or revoke a DUID suspect’s driver’s license, but if someone is convicted of DUID, his or her driver’s license may be suspended for at least six months. If the evidence is overwhelming and the driver’s license is suspended, an attorney still may be able to help a defendant obtain a restricted license that allows for driving exclusively to work, school, medical appointments, and legal obligations. In some ways, being charged with DUID in the state of California is much better than being prosecuted in other states. California prosecutors in DUID cases have the full burden of proving beyond a reasonable doubt that a motorist was impaired by drugs while driving, and that is not always easy to prove. Blood and urine tests can often be inaccurate, and a police officer’s observations may not always be accurate or persuasive, either. 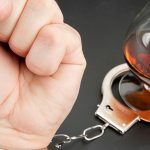 An experienced Los Angeles County DUI attorney, however, will know what it takes to defend any driver charged with DUI or DUID in the state of California.